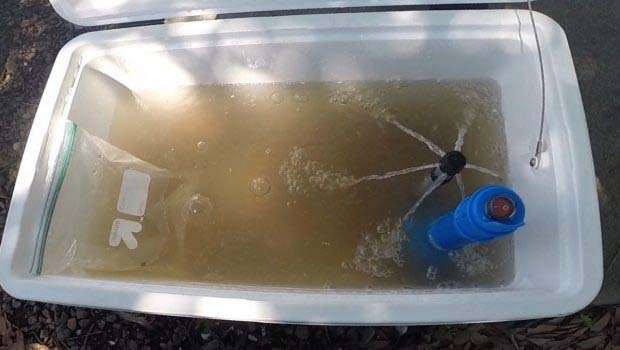 Portable aerators are exactly what you need to keep bait alive. They provide water-flow and oxygen into your bait tank and help everything stay lively to attract more fish. Most portable aerators on the market are actually bubblers which provide oxygen in the water but don’t actually create flow. The cool thing about the Trac aerator is that it can be used to provide flow as well as spray water across the surface. Self-priming aerator pump – Absolutely no issues getting it to kick on every time. Helps keep bait alive longer – I definitely agree with this. Any live bait will benefit from the aerator. Powered by 3 D-cell batteries – Four hours for 3 D-cell batteries doesn’t seem like a great trade off, but what can you do. Powerful spray aerates water to keep bait alive – Yes, this is true. The water spray on the surface adds more oxygen. Increased oxygen level keeps bait lively – Agreed. Adjustable spray head to increase or decrease spray – It is adjustable to an extent. The better feature is that you can adjust the height of the spray nozzle. Wide strainer base adds stability – Sure. Suction cup or screw mount – Suction cups work great. Submersible – Sure, but it may leak. Runs dry without damage – I ran it dry for a bit and didn’t have any issues. Not sure about long term but we’ll accept this as is. Ideal for coolers, buckets, and baitwells – Definitely great for coolers and bait buckets. The claim is 4 hours of run-time on new batteries. I would say it definitely did that, if not a bit more. By the end of the trip the one I was using did start winding down. Is the battery compartment watertight? It claims to be watertight but it’s not so much. One of the units I used leaked and it corroded quickly and stopped working. This may have been a fluke but I did read other reviews that this happens occasionally. Will the aerator make the bait last longer? Yes it will. 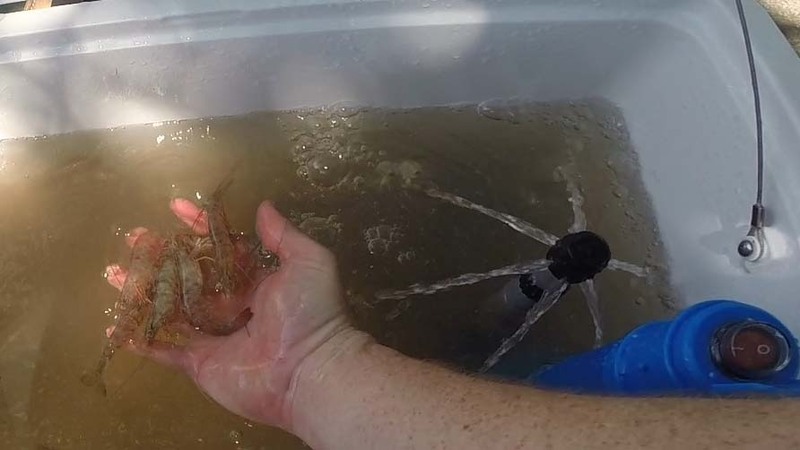 We used this for shrimp as well as mud minnows and I would say that both lasted much longer than normal by using an aerator. Keeping them cool, replacing water small amounts at a time, and following these tips also helped quite a bit for more lively bait. Will the suction cups keep it upright? Yes. I was pleasantly surprised by how well the suction cups kept the unit upright. If you got a good seal and didn’t crush and bait then it kept the pump right up against the wall and bottom of the bait tank. It is not submersible as the features claim. Water leaked in and caused corrosion quickly. The base to close the battery compartment is not very intuitively designed. Feels like it might break if you turn too hard. To be honest this one is a bit of a toss-up for me. I used two units and had two very different experiences. The first one worked perfectly and pumped out water just as expected. It kept the bait alive longer in our cooler and I was very happy with the performance. However, the other unit worked for a while then stopped working and appeared to have some rusty water under the plastic covering the switch. It seems like water seeped in and it corroded very quickly. One the one hand I would be telling everyone that a battery powered aerator pump is a great item to throw in your bait bucket. But on the other hand if I had spent $26 and then had the unit fail within one use I wouldn’t have been too keen on it. I will use the pump a bit more and update the review with any additional findings as to the durability of the units.